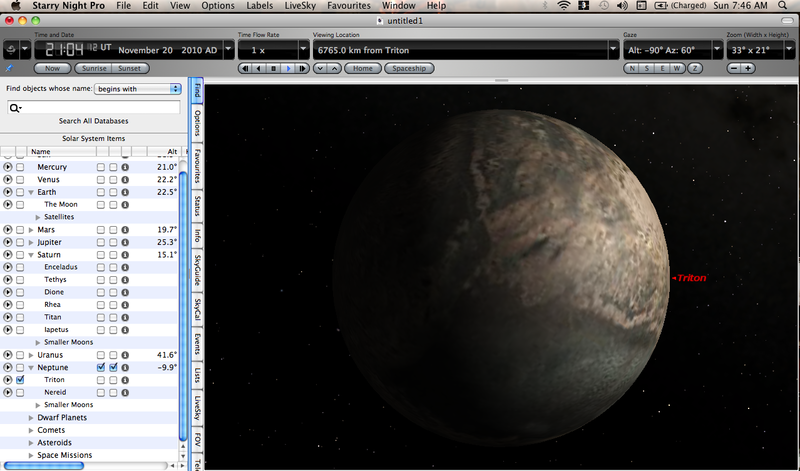 I enjoy using astronomy software to explore the universe, and lately I’ve concentrated on some of the planets in our solar system. I’ve already covered Jupiter and Saturn, so this post covers another gas giant in our solar system. 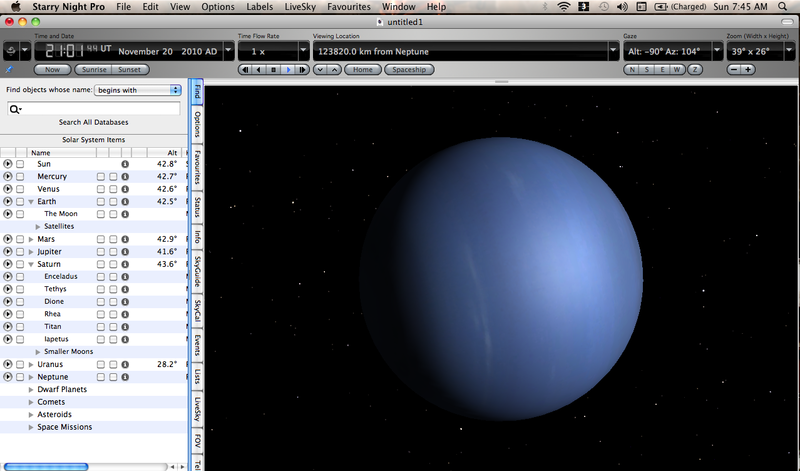 Neptune is the 8th (and last) planet in our solar system. Neptune is the 4th largest planet (in diameter) and is around 30 times further out from the sun than Earth. 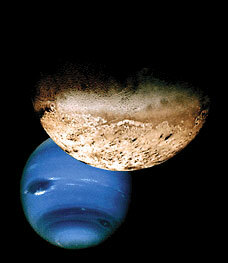 Neptune was discovered in 1846. 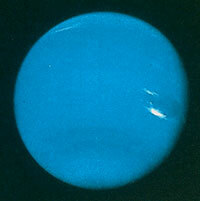 It has a predominately hydrogen and helium atmosphere, with traces of methane that help give it a blue hue. Voyager 2 flew by it and took loads of pictures back in 1989. There is a lot of data about Neptune in Starry Night, or you can select Starry Night’s “Info” tab and select “LiveSky.com” beside the “Extended Info” field to get data on Neptune from Wikipedia. 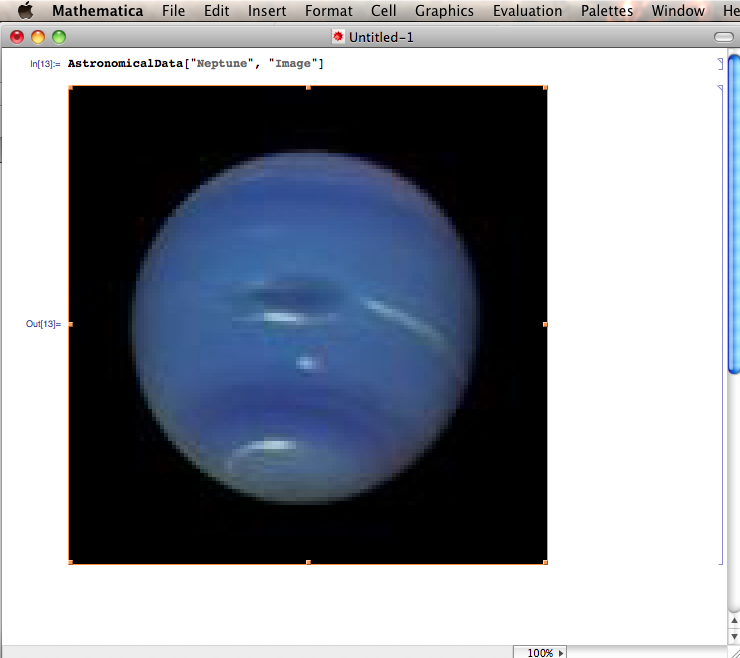 There is more data available on Neptune using AstronomicalData (introduced in Mathematica 7), which returns properties on planets, moons, stars and galaxies. Check it out at the Wolfram website. 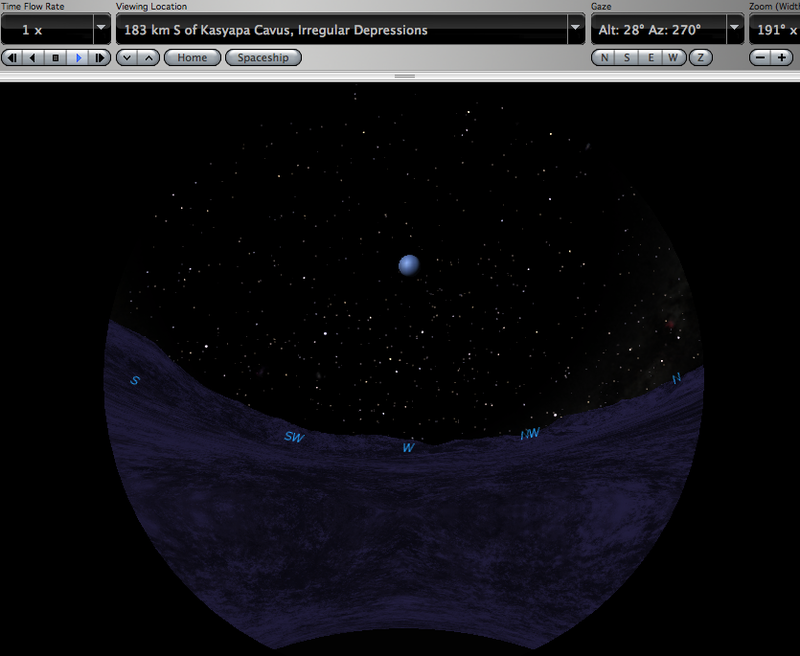 There are many sources for astronomers – amateur and professional – besides telescopes. In this age of the internet, we has so much data available that formerly was only found in libraries. Take some time away from television and video games and explore the wonders of the sky. You have the ability and resources, you just need the motivation to see that space is more than Star Wars and Aliens.